**UPDATE: Drawing has ended. Thank you so much to all that entered. ** Richard has modified the Sharpy/Shorty model to now include a lock. This version is called the Executive. 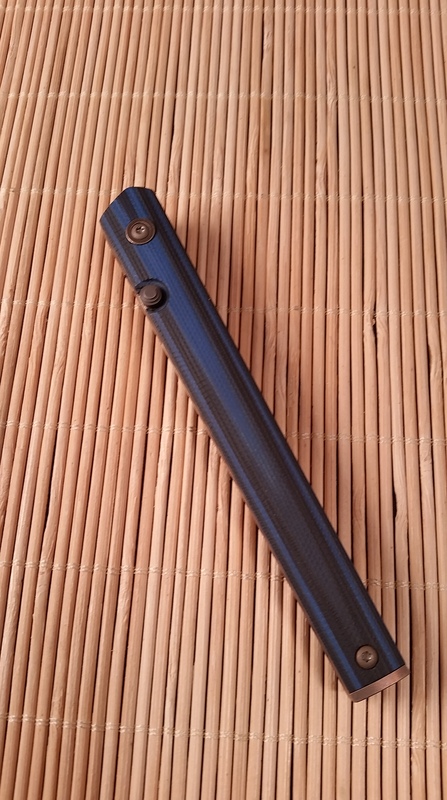 It maintains the same size as the Shorty - a little under 4.5 inches long, blade length of 3.23 inches, and weighing 1.6 ounces (with G10 scales). [caption id="attachment_1235" align="alignnone" width="3264"] Prototype - the Executive[/caption] Richard now makes prototypes in batches of two. The second prototype is available for lotto. 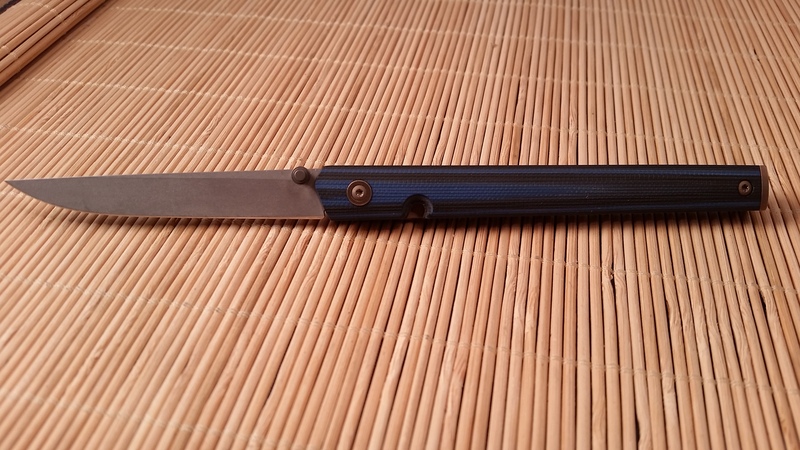 It has blue/black G10 scales, bronze anodized liners and hardware, and a CPM154 blade. The price is $525 plus $10 shipping. If interested in entering the lotto please send an email to availableknife@yahoo.com. I will end this tomorrow, September 27, at noon (MST). One entry per person, please. And as always, thank you for your continued support.